The Engadine was originally a channel ferry. 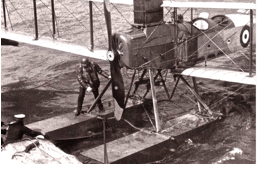 She became a Royal Navy ship in 1914 and a large hangar was constructed behind her funnels and a crane added to handle the lowering and boarding of her four Short 184 seaplanes. 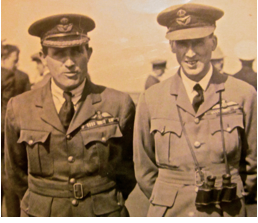 Turrets were not yet used for take-offs and the Royal Naval Air Service (RNAS) had not yet experimented with flight deck take offs or landings. At Jutland, Lieutenant Frederick S. Rutland with Assistant Paymaster G.S. 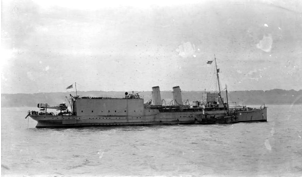 Trewin, following Beatty’s orders took off to reconnoitre the German battle cruiser fleet. They saw Hipper’s turn southward but were eventally brought down when a fuel line was damaged. None of her radioed signals got further than her mother ship, the Engadine. Returning to port, the Engadinetried to tow the damaged HMS Warrior and was able to take her crew off. Rutland exhibited a second act of courage when he dived in between the two ships to rescue a wounded sailor who had fallen in and was in danger of getting crushed. He was decorated for his bravery.